Samsung unveiled three new smartphones under its Galaxy A series last month - the Galaxy A10, A30, and A50. The company is expected to launch the A40 soon, and its price has just surfaced online. According to a report by MySmartPrice, the Galaxy A40 will carry a price tag of €249 (around $280) in most of Europe. An exact date of its launch is unavailable, but it's reported to go on sale in Europe soon. 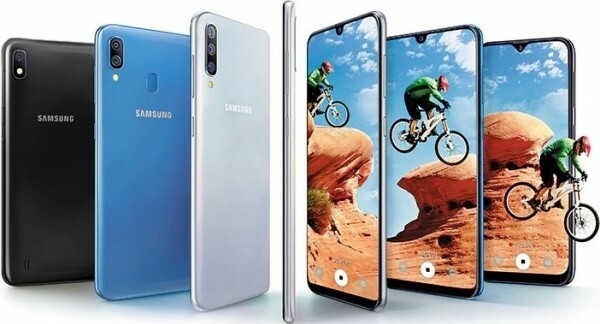 The Galaxy A40 will be positioned between the A30 and A50. The former is powered by Exynos 7904 SoC and features dual rear cameras, whereas the latter comes with Exynos 9610 SoC and boasts triple rear cameras. The A40 is rumored to come with Exynos 7904 under-the-hood, but we saw it pass through Geekbench last month with Exynos 7885. The chipset was paired with 4 GB RAM, and the smartphone ran Android Pie. We expect to hear more about this smartphone in the coming days. Why cripe they shift the volume buttons to the right?! It has each one android. Samsung probably want to be one from many.